Just how big of an upgrade will the Mango release of Windows Phone be? Try "500 new features" big. 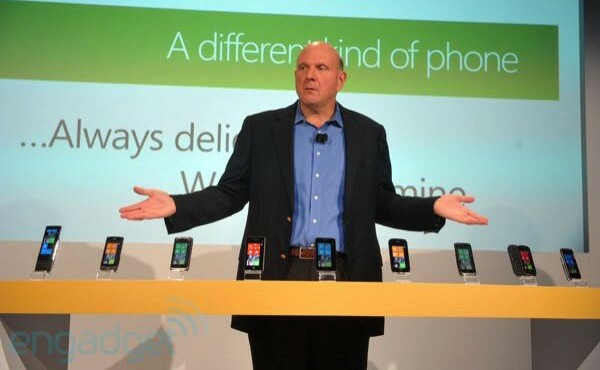 Steve Ballmer revealed that seductively round number in a speech over in Japan today, where he also said that additional information about "who's going to be building Windows Phones" will be forthcoming at tomorrow's preview event as well. Combine that with an otherwise unsubstantiated rumor (more coverage link below) about Microsoft showing nine new Windows Phone handsets tomorrow, and it does seem like there'll be fresh hardware to go with the ripening software. Neither the Mango release nor any devices on show will be coming to market any time soon, mind you, but it's nice to think we'll get to see what the future of Windows Phone will look like in physical as well as digital form.